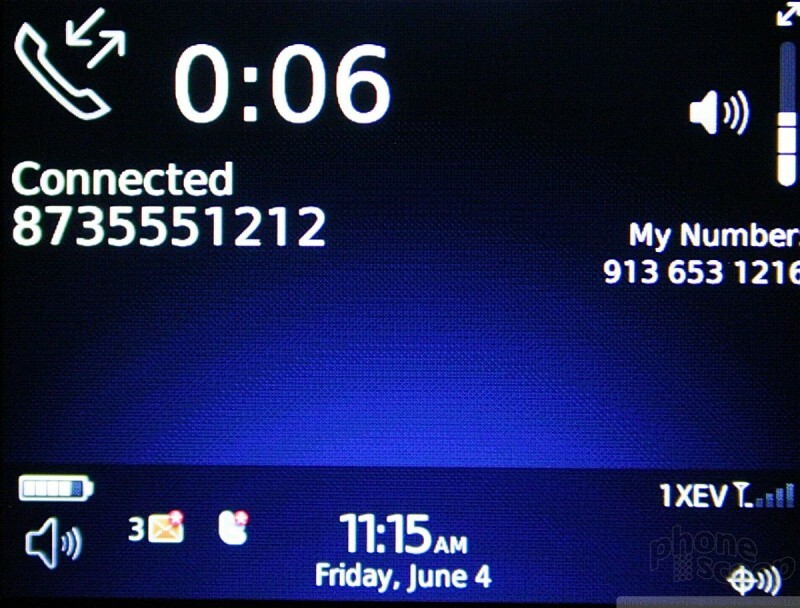 Calling features on BlackBerry devices also haven't changed much over the years. 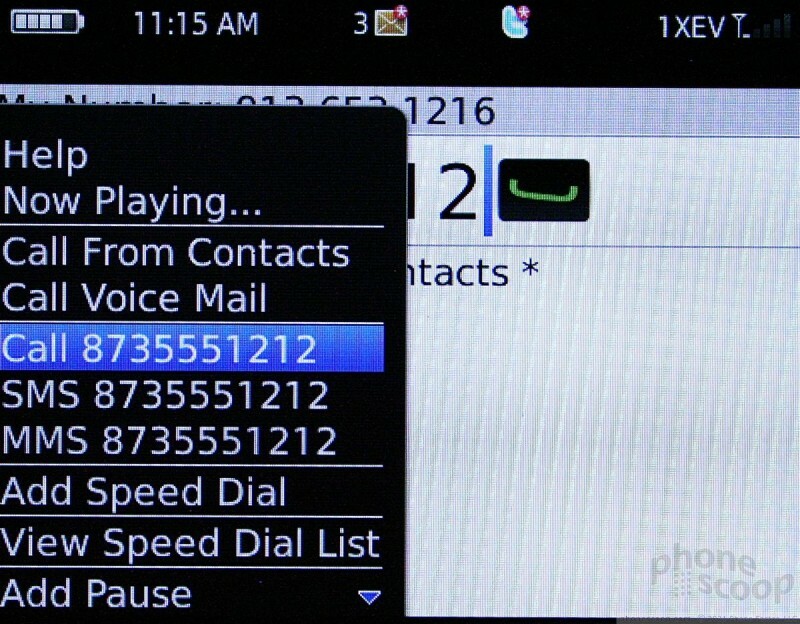 Pressing the green send key opens up the list of recent calls, displays your own number and offers a window in which to type a number to call. 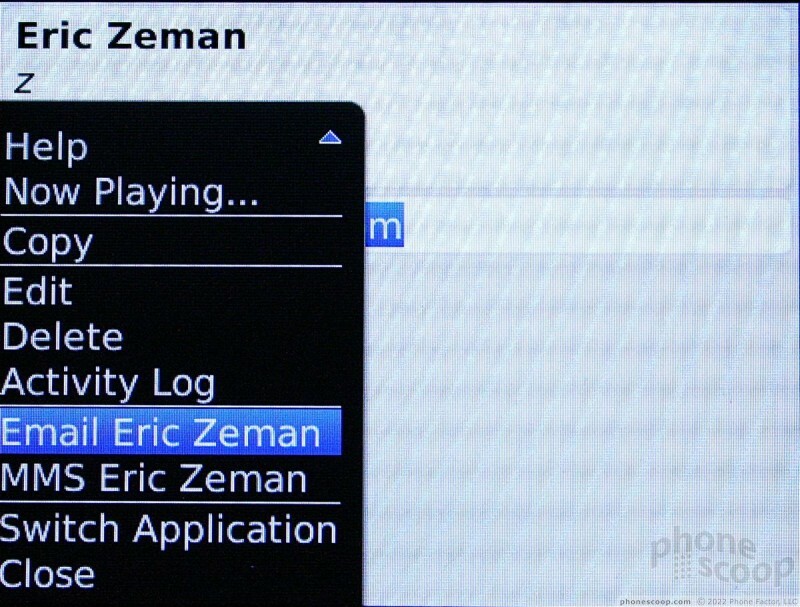 If you type in a name with the keyboard, the application searches your contact list and will show you the contacts matching those letters. Once the list has been narrowed a bit, you can use the trackpad to select the exact one you want. If you jump directly into your address book from the home screen, there is a search function built into the top of the app. Start typing a name, and the app searches until you find the contact you want. You can also scroll down using the trackpad, but for large contact lists, this can be time consuming. Once you've found the contact you want, hitting the BlackBerry key again opens up a magical, extensive list of actions you can take concerning that contact, including dialing them, sending them an SMS or editing their information. 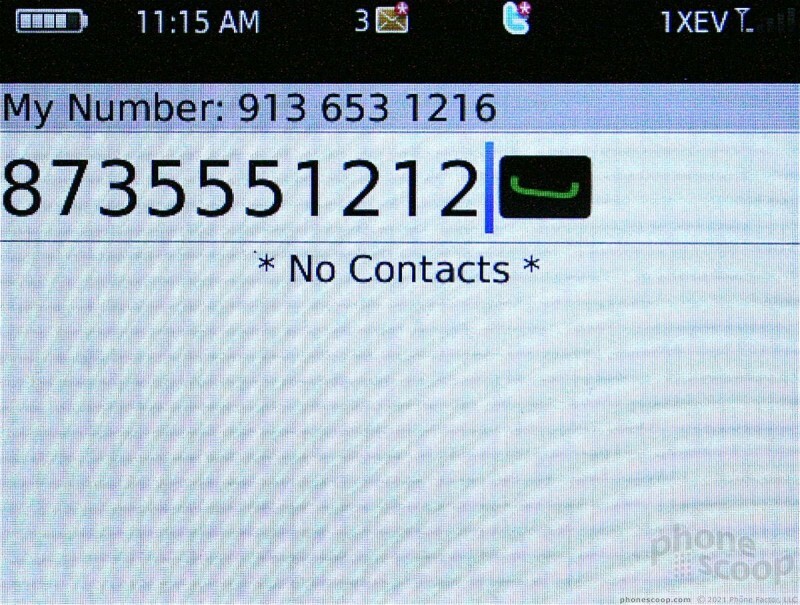 Each contact can hold a wealth of information about that person, including far more phone numbers and email addresses than any normal human being should have. If you're not using this 9650 with your company's email service and need to load your contacts onto the 9650, there are several options. You can choose to use the BlackBerry Desktop Manager software, which requires attaching the device to a computer. 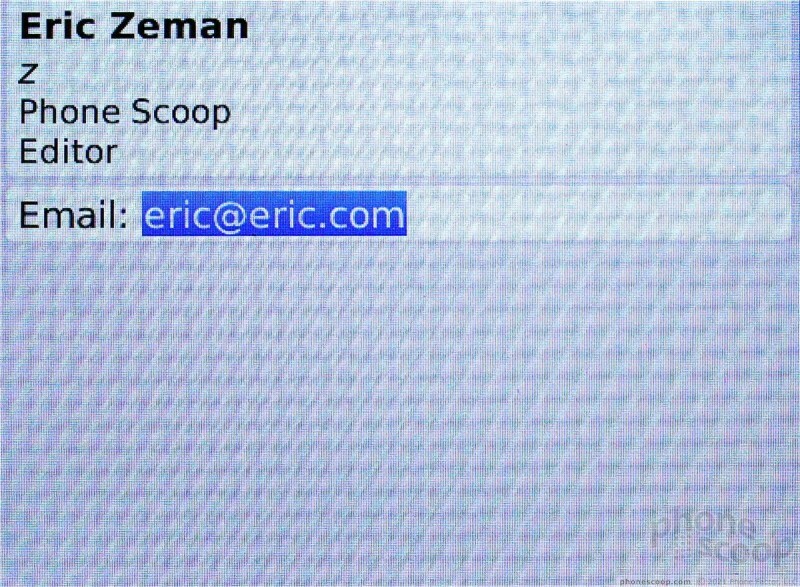 Or, Gmail users can use Google's Sync product to wirelessly load their contacts onto the devices. I found this to be the best option, because it lets you refresh your contact list when on the go. 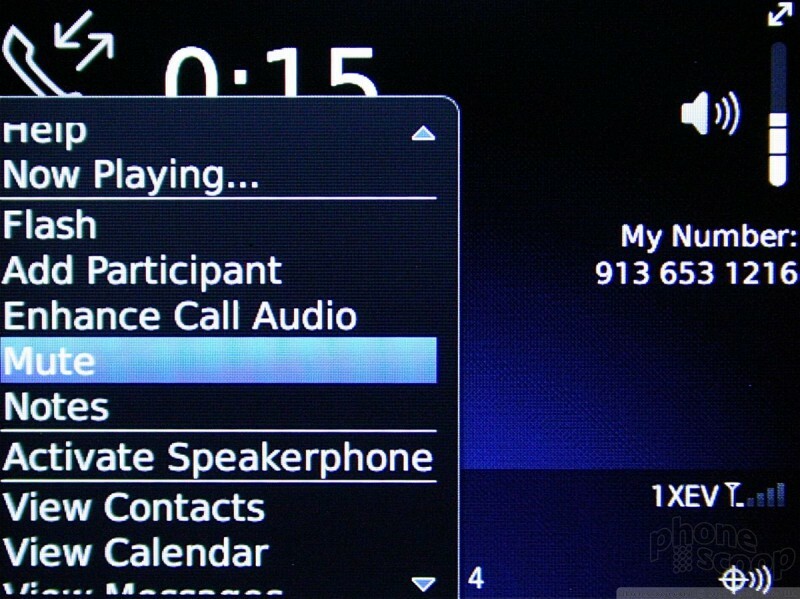 The integration between the calling features and the contacts program is designed around one-handed ease-of-use and minimizes typing to almost zero. It may not look pretty, but it is clearly meant for the road warrior who is running through an airport and has to do things with the phone one-handed while clinging to luggage with the other.